This post has been a long time coming!!! Many of our clients already know that we supply an array of different maternity gowns. However, it seemed that the same 3-5 gowns had been selected with each session. I knew the reason behind this is because people tend to gravitate towards things they have SEEN. 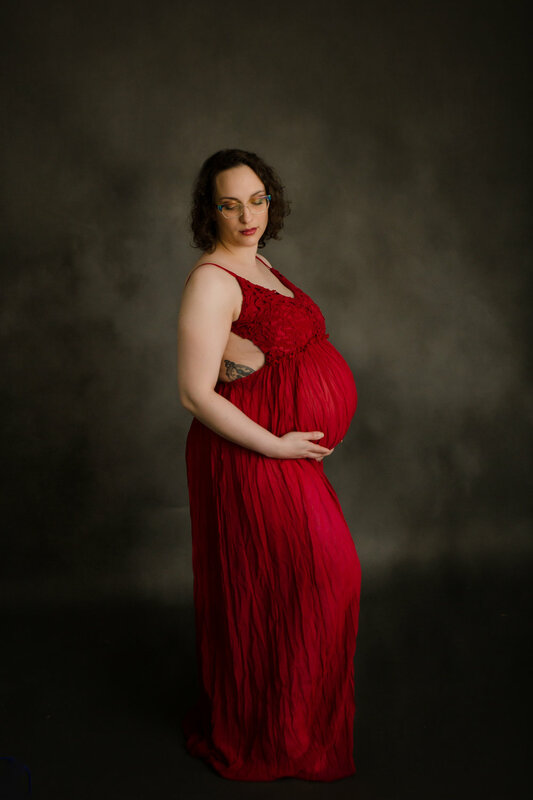 So, in order to allow for a larger assortment of my beautiful maternity dresses to be used, we decided to do a maternity dress look book. I realized quickly that my dress collection had grown to over 35 gowns, and needed a fun way to show potential clients the selection. Bringing them into the closet wasn't enough, because it is hard to visualize a dress on a hanger physically on your body. So I am rectifying that!! I will be showing a beautiful look book during pre-session consultation and planning sessions. I also have a nice online gallery to send those wanting more time to choose their perfect dress. THANK YOU to all my willing models who came in to sport their pregnant bellies. There were lots of outfit changes, but all of the pregnant mamas were good sports. Now, currently, the images for most of the dresses are more catalog style. As we start photographing some of these beauties on location, I will update the photos. 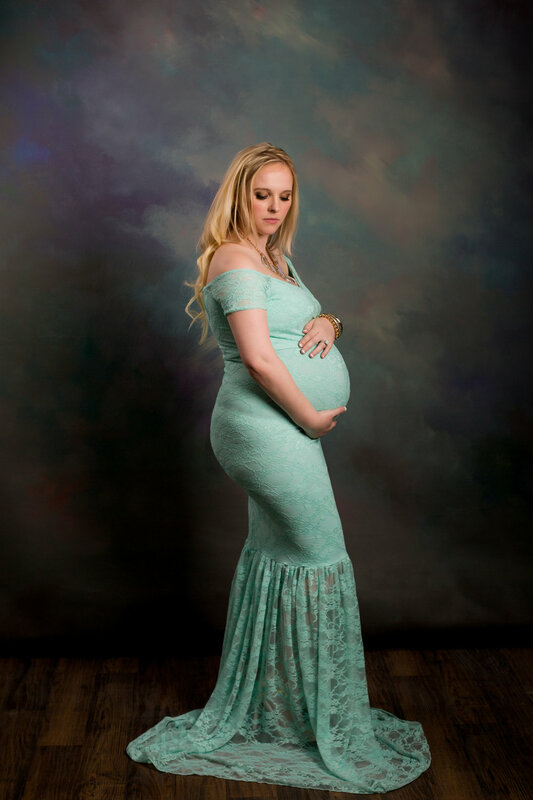 We have some great selections from vendors such as Sew Trendy Accessories, who personally is my favorite maternity gown designer. My VERY FIRST maternity dress, "The Marilyn" , also happens to still be one of the go to favorites of my pregnant moms. Enjoy this sneak peek of the dresses, and book your session now to get a look at our full catalog!! Click on preview box to see full image of dresses!